Sanctuaries, Papyri and Winged Goddesses. In 2006, Dr. phil. Fortunatus Schnyder-Rubensohn donated the estate of his father-in-law, the classical archaeologist Otto Rubensohn to the Jewish Museum Berlin. Rubensohn�'s excavations and his academic work are intrinsically connected with Berlin�'s collection of papyri and with the study of the ancient history of the Greek island of Paros. A symposium and a Cabinet Exhibition at the Jewish Museum will honor the life and work of this Jewish scholar, who is still highly recognized by academics in his field. Born and raised in Kassel, Otto Rubensohn (1867-1964) wrote his dissertation in Strasbourg under the supervision of Adolf Michaelis. He worked at the German Archaeological Institute in Athens from 1897 to 1899, and excavated the sanctuaries of Apollo and Asclepius on the island of Paros, where he also erected a museum for his many findings. From 1901 to 1907, Rubensohn led the papyrus enterprise of the Berlin Royal Museums. 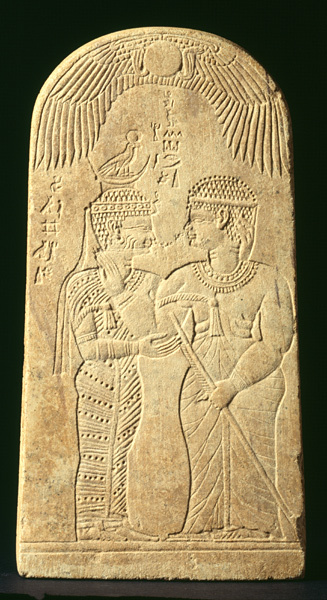 Aside from purchasing important papyri, his excavations uncovered significant findings, among them a prehistoric cemetery in Abusir el Melek, the so-called Taurinus archive in Eshmunen and the Aramaic Papyri on the island of Elephantine. In 1909, he was appointed director of the newly-established Pelizaeus Museum in Hildesheim, which he oversaw until 1915. 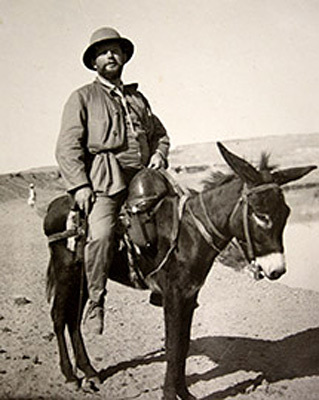 In the following years until his retirement in 1932, he taught at a Gymnasium (secondary school) in Berlin, and continued to pursue his archaeological research. 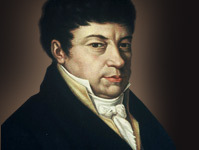 After the National Socialists came to power, Rubensohn became increasingly isolated and expose to growing discrimination. In March 1939 he fled with his wife to Switzerland. There he continued his research in Basel and at the age of 94 published his most important book, 'Das Delion von Paros.�"
18. Februar 2010: Symposium zur Kabinettausstellung des Jüdischen Museums Berlin "Der Archäologe Otto Rubensohn"
Jewish Museum Berlin: Special Exhibition "he Archaeologist Otto Rubensohn"
Monday from 10 a.m. to 10 p.m.
Tuesday-Sunday from 10 a.m. to 8 p.m.
Den Hieroglyphen auf der Spur. Poster-motif of the special exhibition "Den Hieroglyphen auf der Spur"
Nach dem Fund des 'Steines von Rosette' - der Ikone der Hieroglyphenentzifferung - im Jahre 1799 beteiligte sich auch die Königlich Bayerische Akademie der Wissenschaften auf Initiative Friedrich von Schlichtegrolls (1765-1822) am internationalen Wettstreit um die Entzifferung der Hieroglyphen. Das dadurch in der hiesigen Akademie ausgelöste Interesse an der Erforschung der altägyptischen Kultur - um so 'der Hieroglyphe (�") auf die Spur zu kommen' - wird dokumentiert durch den Erwerb der bereits Ludwig van Beethovens Aufmerksamkeit in Wien geltenden Privatsammlung von Franz Wilhelm Sieber (1789-1844) im Jahre 1820 und derjenigen von Ferdinand Michel (1796-1865) im Jahre 1827, deren Objekte heute zu den Beständen des Staatlichen Museums Ägyptischer Kunst München gehören. Die Sonderausstellung zeigt eine repräsentative Auswahl aus diesen ehemaligen Sammlungsbeständen der Königlich Bayerischen Akademie der Wissenschaften.